Each time we encounter Big John Greer, saxophonist and sometime singer, it’s with a sense of uncertainty as to how much he truly belongs in the roll call of rock artists. Virtually everything about him, from his background to his looks and personality on record as well as the fact he would maintain a simultaneous day job with Lucky Millinder’s group, an acclaimed outfit but one decidedly removed from rock ‘n’ roll, gives us pause. Yet Greer would somehow maintain his membership in the rock fraternity for a decade, never a threat to become a stylistic front-runner but also never reversing course so much that he’d be shown the door. Thus all of his records seem to have a built-in ceiling to how well they’ll be received in the rock realm and as a result he’ll always run the risk of being the last one picked when the other artists choose up sides for intramural jam sessions. Yet in the face of ongoing skepticism Greer will doggedly persevere and that alone is something to be admired. The last time we ran across Greer he was flexing his vocal chords on a cover version of Drinkin’ Wine Spo-Dee-O-Dee back in May and while over the course of his career he would contribute nearly as many vocal records as he would instrumentals, he was a tenor sax player by trade and that skill is what initially gave him entrée into rock ‘n’ roll to begin with late last year when record labels were desperately searching for anyone who could suitably honk up a storm to capitalize on the rock instrumental craze. We said back then on his first such effort, Rockin’ With Big John, that it was mostly a matter of good timing that others saw fit to invite him to this party, but once inside he proved to be fairly adaptable to the music’s requirements and was allowed to stay, never bringing too much to the party but not really bothering anybody by his presence. But during all of this he also stayed with Millinder, whose band was a vital pre-rock influence on what followed without ever being willing, or able, to make the transition to rockers themselves. Therefore in Greer they had the perfect candidate to try and bridge the gap, as Big John would get releases under his own name on other labels (often with Lucky’s crew backing him) and that in turn would allow for Millinder to test the waters in rock without sullying his own name and reputation in the process. If Greer’s efforts proved successful then Lucky could either provide Big John with a bigger share of the spotlight in live gigs or maybe it’d even convince Millinder to make a more definite move towards rock with his own credited recordings. That never really happened, nor would it have likely worked had he done so, he was far too well-established to be able to convince a new younger audience he’d turned over a new leaf, but Lucky never completely abandoned the idea of trying to at least pay lip-service to rock ‘n’ roll over the next few years. As for Greer his own records were unique in that they were often designed to appeal to both the rock crowd and the older Millinder-styled fans which could result in compromised aesthetics on the best sides and schizophrenic releases wherein one song would be a rocker and the other would be something used to put you to sleep with when warm milk wasn’t available. Such was the case here, as the flip-side, a vocal entitled Tonight’s The Night was a lethargic and uninteresting pop-styled ballad prompting even the reviewers at Billboard magazine who were usually far more sympathetic to old school approaches to call the lyrics “gutless” and criticize the lack of any fire in the grooves. 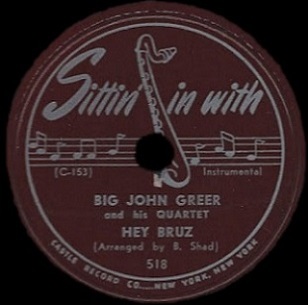 So it’s left to the instrumental Hey Bruz for Big John Greer to solidify his rock credentials as by mid-1949 the genre is threatening to pull too far away from him for Greer be able to ever catch up. Just so nobody thinks we’re being a little harsh on Big John Greer, whose innocent appearance makes him appear a prime candidate for being bullied, we should tell you that around the same time this record was coming out on the Sittin’ In With label (having been recorded last fall in the same session as his debut) he was also seeing the release on his current label, RCA, of the treacly pop performance of I Found A Dream, a song that while well-sung is as far removed from rock as the planet Mercury is from Uranus (umm, “insert” your own jokes here if you insist). In other words, musically speaking he’s a long way from the heat generated by the sun. To be fair the flip of THAT record, If I Told You Once is a lot more spry and even moderately rhythmic in a sense, showing that RCA wasn’t completely abandoning their hope of duping potential rock listeners into giving their moldy label a chance, but while a better song to our ears than the pop side it too is in no way a rock record, even marginally. But Hey Bruz is another story entirely, being cut for a company with far less lofty ideals who were hoping to break into the rock market and who therefore gave him the edict to see what he could do by rolling up his sleeves and honking away. Unfortunately they didn’t emphasize this command strongly enough for Greer who, as was his tendency, plays it far too safe to really create any excitement. 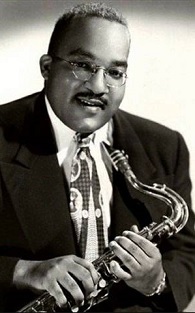 The song starts off in low gear, a lazy piano intro backed with barely audible drums that soon give way to Greer’s saxophone which sounds as if it just woke up and is tentatively putting its feet on the floor, yawning and stretching in the early morning sun. An unexpected guitar snakes its way around the sax lines, distant but adding an interesting wrinkle to the song that you hope will be further explored later, or at least prod Greer into stepping up his own game along the way. He does start to dig a little deeper as he goes, alternately throwing in a few low honks and higher squeals without fully committing to either one for long. But as he’s shown in the past just because he seems ill-suited at first to the rock requirements on the instrument doesn’t mean he’s incapable of compensating for his lack of lung-shredding power. A few of the passages shows him trying harder to meet our expectations, raising the volume and switching off between more intense blowing and easing back to give the song room to breathe, and while he’s never going to be able to compete with the top line stars in the field, he’s at least doing more than just going through the motions. What pulls this up considerably however isn’t Greer at all, but the aforementioned guitar. I wasn’t expecting anything out of that instrument when it first appeared, figuring they merely had one laying around the studio that someone picked up and tossed into the mix but that it’d go thoroughly underused once the track got underway. Instead the guitarist steals the show with an extended solo midway through. It’s not that it’s so invigorating in what’s played, in fact it’s perhaps the most subdued aspect of the arrangement, but the sonic textures it brings to the song makes it stand out and gives the entire record a different personality. At one point he’s bending the strings, changing the tone and making it fraught with anticipatory tension and the result is fairly mesmerizing. But mesmerizing doesn’t always mean it’s appropriate to stoke the rock fan’s most base urges – for that we still need Greer to make his presence more known as he tries to do coming out of the break. This stretch represents Big John’s best playing as he does manage to ramp up the intensity, but only briefly before falling back to something far more modest. That’s the style he’s most comfortable in after all and so when he returns to a pleasant churning riff down the stretch you almost can see him relaxing, knowing he doesn’t have to try for something explosive that he’ll never be fully comfortable in delivering. As a result Hey Bruz doesn’t put him in any better position to make a name for himself in rock ‘n’ roll (less so considering it probably was named for drummer Bruz Freeman, brother of George who played a mean guitar for Joe Morris back on Boogie Woogie Joe in early 1948). I doubt it was George Freeman handling the axe here, but whoever it is he makes this song interesting enough not to completely overlook Greer’s ongoing quest for rock legitimacy. Once again Big John does just enough to make the roster on the final cut, his position on the team as tenuous as ever. No matter how you look at it, Greer is an odd fit in rock ‘n’ roll, at once both suitable for the overall production but not really cut out for a leading part. Making our assessment of his career even more difficult is not having any real sense of his own desires as an artist. Even if it’s just projecting a persona onto him on the basis of his modest physical appearance, he comes across as being amenable to whatever someone asked of him. If that someone was Lucky Millinder who wanted him to play nice and sweet, he’d be glad to do it. If RCA was trying to break him into pop, then he’d go along with that too. But if a label hoped he’d get a bit friskier with his playing so they could take advantage of the rock craze sweeping the country, then he’d give it his best shot there as well. It’s hard to really criticize someone like that even if its equally hard to really praise somebody who doesn’t have a definite artistic vision of his own. 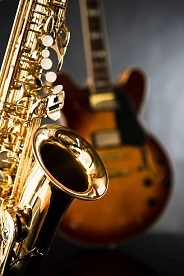 Rock music after all is made up of artists who are determined to blaze their own trail musically no matter the cost and so it’s kind of hard to get enthused for those who merely go along with the program with no vested interest in the outcome. Maybe the best way to put it is that Big John Greer is the kid from junior high you barely remember. A nice enough guy if you took the time to talk to him, but unmemorable in most every way. When looking back through an old yearbook your memory is jogged when you see him – “Oh yeah, I remember him!” – but beyond the facial recognition you can recall little or nothing about him… what his interests were, who he was friends with and even what he sounded like. Years later he’s probably working in some anonymous middle-management position at a large company where most of his co-workers pass by him in the halls without really noticing him there either. At the end of each day he goes home to his modest house in the suburbs and dutifully helps the kids with their homework, dries the dishes for his wife after an unexciting dinner of pot roast and mashed potatoes and then falls asleep in his easy chair by 8:30, bothering nobody. Leave a reply on "Big John Greer: “Hey Bruz”"